Mankading : The frequency is few. It is subject to format of the game, phase of an innings. Yet rule should be applied to curb non-striker from leaving the crease. Here umpire at the non-striker end should give one warning to the non-striker batsman. 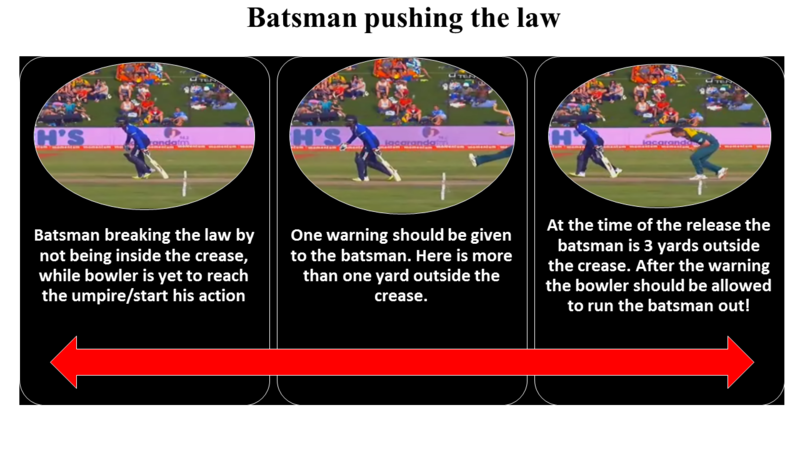 If he still persists to be outside the crease, than a bowler should be allowed to run him out. 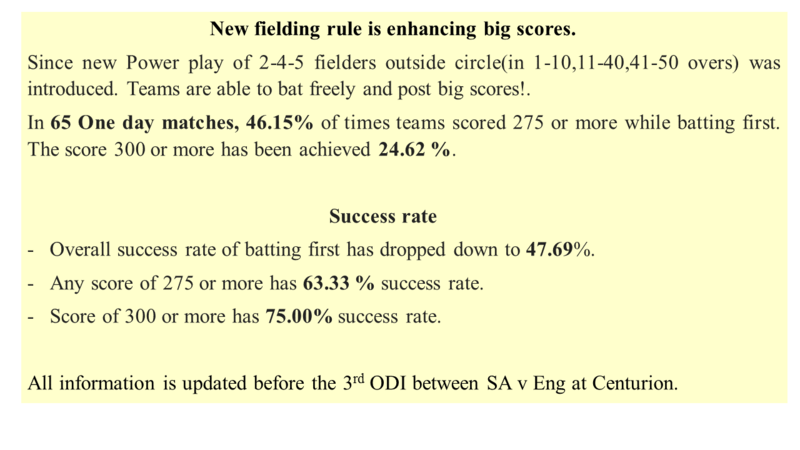 New fielding law : The new law of having 5 fielders outside the circle in last 10 overs has not helped bowlers to restrict runs, infact batsmen are batting freely and posting score of 300 consistently. Does a non-striker regularly back himself far ?. 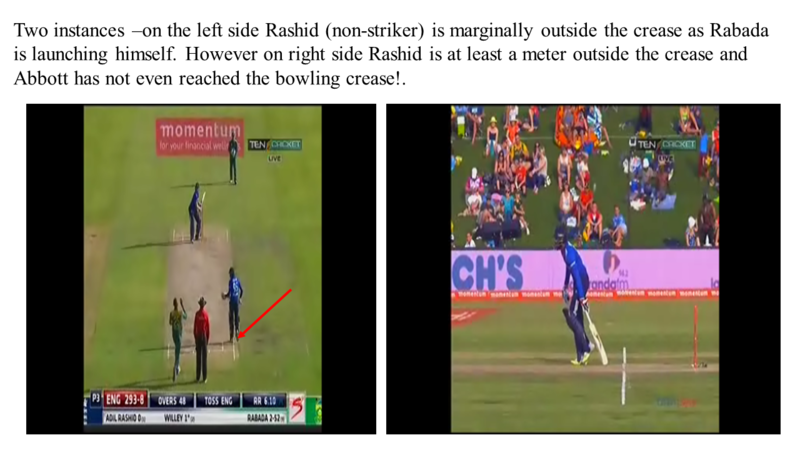 In below graphic it clearly shows same batsman(A Rashid) in same game was in the crease when ball was delivered, and in next picture was backing too far from crease. 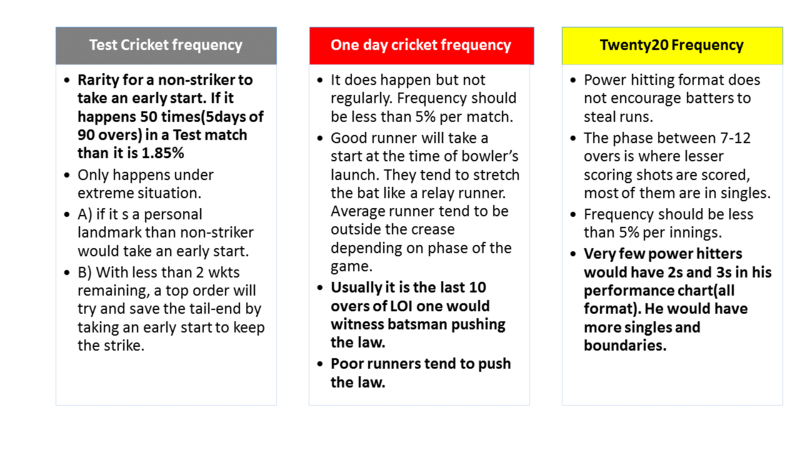 New fielding law in One day cricket.